On each of the following family trees, clicking on the highlighted names will lead to that person's page in this website. To return to this page from any tree, use your browser's 'back' icon. Further family trees will be added in due course. 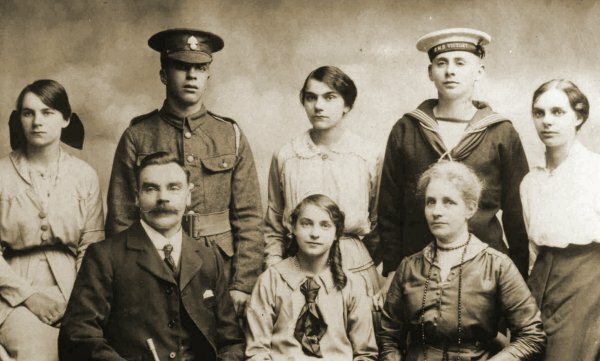 The Jesty family of Yeovil, circa 1916.